The pilot in the low-wing airplane reported that, while in the traffic pattern at the non-towered airport, he made continuous reports on the common traffic advisory frequency (CTAF). He added that, on final, he observed a high-wing airplane positioned adjacent to the runway he was approaching. On short final, "the runway was clear" and he heard no radio transmissions. The low-wing airplane impacted the high-wing airplane on the runway. The low-wing airplane yawed right, the high-wing airplane became visible, and the low-wing airplane came to rest nose down in front of the right wing of the high-wing airplane. The pilot receiving instruction in the high-wing airplane reported that, after performing a run-up, she and the flight instructor taxied to and held short of the departure runway. She added that, during the taxi, she and the instructor did not hear radio transmissions on CTAF from other aircraft in the traffic pattern. Before departure, they visually cleared final and base and reported on the CTAF their departure intentions. They lined up on the runway for a short field takeoff, held the brakes, and applied full power. She released the brakes and about 3 to 5 seconds into the takeoff roll, they heard a loud noise and the airplane was pushed left. The high-wing airplane came to rest with the low-wing airplane "dangling off the right side" of the high-wing airplane. The low-wing airplane sustained substantial damage to the left wing. The high-wing airplane sustained substantial damage to the right wing and empennage. Two eyewitnesses in the same airplane reported that while taxiing, they heard the high-wing airplane make a radio transmission that they were "taking the runway" and departing. They observed the high-wing airplane lined up on the runway but did not see any aircraft on base or final. Several moments later, they looked back and saw the high-wing airplane still on the runway, and also a low-wing airplane on final. One of the witnesses made a call on the "unicom" frequency warning the low-wing airplane that another airplane was on the runway but heard no response. He made another call to the low-wing airplane to perform a go around, and then they observed the low-wing airplane land on top of the high-wing airplane. The pilots of the low-wing and high-wing airplanes reported that there were no preaccident mechanical failures or malfunctions with the respective airplanes that would have precluded normal operation. Registered Owner: Stemple, Jasper F.
This reads like a conflicting reports between two parties (pilots). 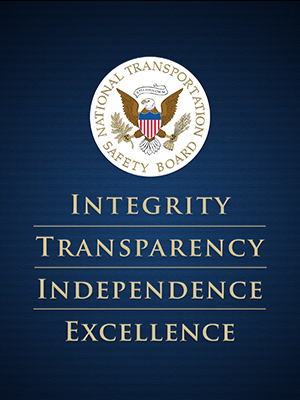 How will NTSB sort out this situation? I thought that if the local airport could record CTAF transmissions would be a useful tool to have. I thought that was probably a pipe dream but another article mentions that a local airport was considering adopting/buying such a system (in non-towered airports). I also read that sometimes they transmit on the wrong frequency. How would that happen? okay I tried this a few minutes ago and it did not take. This sounds like conflicting reports (He/she said). How would NTSB sort this one out? I think it would be a good idea for non-towered airports have some means of recording local CTAF transmissions. It would help collaborate one of their comments. Evidently that is not a farfetched idea because it has been reported that a local airport had purchased such a syste. @James Russell, the radio recording technology exists and is not that expensive. Websites such as LiveATC.net rely on enthusiasts to monitor and record radio communications as well. KAJO is not recorded by LiveATC. The NTSB will take into account the fact that the crew witnessing the event did not hear transmissions from the landing aircraft. Per regulations, a landing aircraft has the right of way over surface aircraft. However, it is also the responsibility of the landing aircraft to see and avoid an impending collision. My guess is the blame will be shared between the two parties, with the majority going to the operator of the landing Sonex.